The Red Sox on Tuesday activated second baseman Dustin Pedroia off the injured list. Infielder Tzu-Wei Lin was optioned to Triple-A Pawtucket to make room for Pedroia. On Sunday, Pedroia completed his three-game rehab stint with the Greenville Drive, the Red Sox’ Single A affiliate. He went 3 for 9 with a pair of walks and a strikeout, hitting line drives while getting a workout both on the bases and in the field that included back-to-back games on Thursday (nine innings) and Friday (five innings), as well as an additional nine innings Sunday. Pedroia felt he checked all the necessary boxes. “I’m pretty confident that I’m going to be back for good and it’s going to be fun,’’ Pedroia told WSPA-TV in Greenville. “Everything went perfect. I feel great. 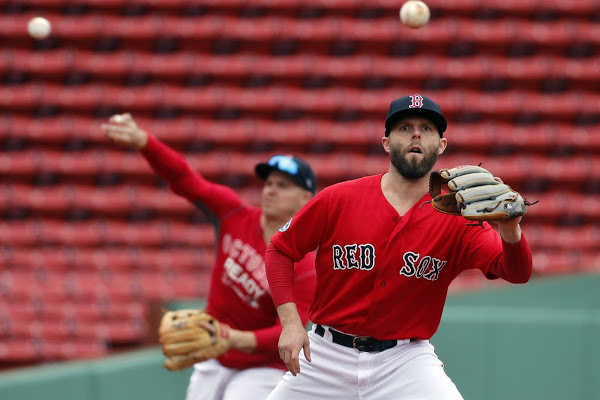 I’m ready to go.’’ Pedroia, 35, played in just three games at the end of last May in his return from multiple surgeries on his left knee before he landed back on the sidelines for the rest of the season, during which time he required another procedure to remove scar tissue. But since returning to the field in spring training, Pedroia has tolerated a steady buildup of activity without any setbacks. Though the 2008 AL MVP likely won’t be asked to handle an everyday role this season after back-to-back injury shortened campaigns, Pedroia should still see the bulk of the action at the keystone moving forward, resulting in Eduardo Nunez handling more of a utility role for the Red Sox. The Red Sox are in last place and have the worst run differential (minus-26) in all of baseball. Only four teams have made more errors, and Boston’s five-man pitching rotation (aggregate salary: $88 million) has an ERA of 9.13. The Red Sox have won four championships since 2004. They are the dominant major league baseball team of the 21st century. And on Tuesday, Fenway will be full of fans happy to remind the Red Sox that they were a very good team just a few months ago.